Like any piece of good writing, you need to hook in the reader with the first few lines. This is even more important when keeping the reader’s attention may determine whether or not you get hired. Don’t go overboard, though, by including some exciting story unrelated to the job posting. Instead, explain why you are excited about the prospect of working for this company in that position. Gaining the attention of the reader is important. However, you should also be careful not to lose their attention by droning on and on in your cover letter. Try to stay brief. According to Forbes, the average job posting receives 118 applications. After possibly reading over a hundred other cover letters, the last thing you want to do is force that person to read something that never gets to the point. According to the Washington Post, 91 percent of employers are more likely to give an applicant an interview if their cover letter reflects actual research into the company and the position being offered. One huge mistake many job applicants make with cover letters is sending something generic that could apply to any company. Instead, learn a good deal about the company and the position and integrate this information into the cover letter. You need to be assertive in your cover letter. State the things you have accomplished with authority. There’s no reason to be humble. Most employers want candidates that can take charge and make things happen. Don’t be afraid to describe your work ethic and best personality traits as facts. Just be sure to give examples to provide evidence for your claims. While cover letters often address a generic audience, you don’t have to do this. Instead, do a little research to find out the name of the employee who actually reads the resumes and cover letters. With this information, address them specifically. It may be enough to give you a slight edge over other applications. Another common mistake many job applicants make is simply recycling information from their resume into an essay. While you should mention some of your biggest accomplishments listed in your resume, make sure the information presented is varied enough that it doesn’t feel like you’re repeating yourself. 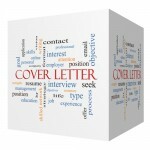 If some of your accomplishments couldn’t fit into your resume, the cover letter is a good place to mention them. Some cover letters just list generic attributes. If these aren’t backed up by evidence, the reader may not give them much thought. For example, many people in cover letters say they’re a natural leader. You can do that, but make sure to back it up with examples of your leadership abilities. For example, you could explain how you came up with the idea for a project at a previous employer and helped lead it to success. There’s a difference between confidence and dishonesty. There’s also a difference between truthfulness and hyperbole. Don’t be afraid to state everything you’ve accomplished and all of your positive traits. However, don’t go overboard. You need to remember that you may be quizzed on some of these things later in an interview. If you lied in your cover letter, you will probably be found out. One of the ways recruiters weed through piles of resumes and cover letters is by throwing out the ones that include spelling and grammar errors. If an applicant isn’t careful enough to avoid mistakes on a cover letter, they assume that will be reflected in their actual work ethic. This is why proofreading is extremely important. Not only should you read over the letter yourself several times, but you should have someone else proofread it for you as well. Having a second point of view on the document can allow you to notice flaws you weren’t able to see yourself due to your own biases. Lastly, you should add your own signature to the end of your cover letter in black ink. While this may not mean much in regards to proving you’re a good candidate, it adds a nice personal touch. It helps demonstrate that you are personally invested in getting the job. It also helps prove that you aren’t simply printing out the same documents and sending them to every employer with job listings.